If applicable, from a Home screen, tap the GizmoTab icon. If unavailable, navigate: Apps icon > GizmoTab icon. Tap the applicable 'kid profile' avatar. 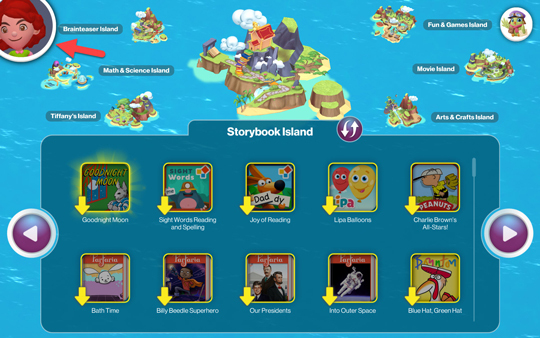 From the Home screen, tap the Parent icon (located in the upper-left). 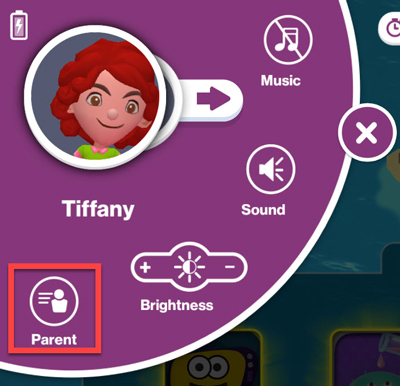 Enter your Parent PIN to access parent-only features. If the PIN is forgotten or you would like to change it, refer to Change or Retrieve Parent PIN. From the left menu, tap Add a child. 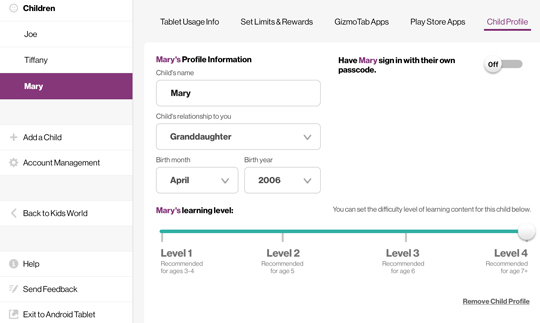 You can have 3 kid profiles per tablet. 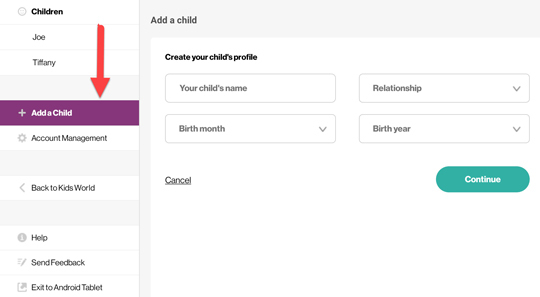 Enter child's name, tap the dropdown menus to enter the child's relationship to you, birth month and year then tap Continue. 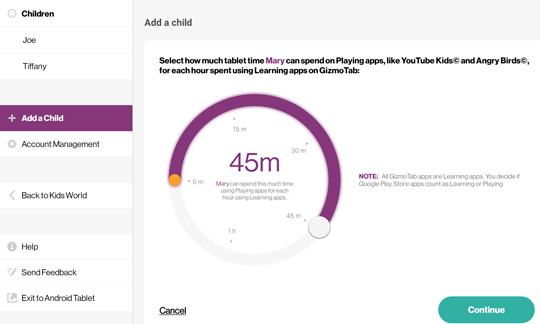 Slide the white dot to set how many hours per day the tablet can be used for learning then tap Continue. 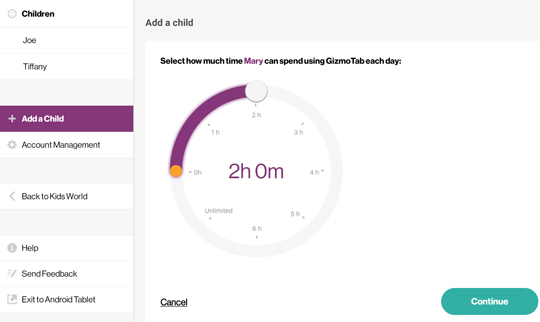 Slide the white dot to set how many hours per day the tablet can be used for play then tap Continue.